Own To Obey is the first book in this couple’s story, but the seventh instalment of the Myth of Omega series. 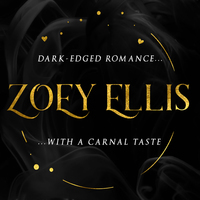 Zoey Ellis is a Dark Fantasy Romance author currently working on completing her M/F Omegaverse Romance series, Myth of Omega. She writes dark-edged romances about tortured, possessive, alpha anti-heroes and the sassy heroines who belong to them (even if they don’t want to!). Filled with passionate, carnal steam, Zoey’s stories feature couples that go through tough journeys and make mistakes but ultimately have to grow for each other to survive the dark worlds they inhabit.